Japanese herringbone cotton ribbons hand tied into a bow. 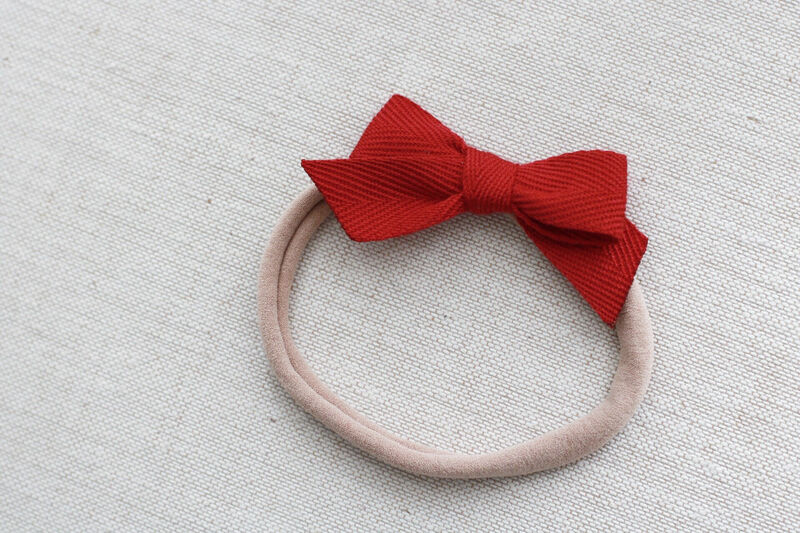 Modern and simple bow in gorgeous cherry red. 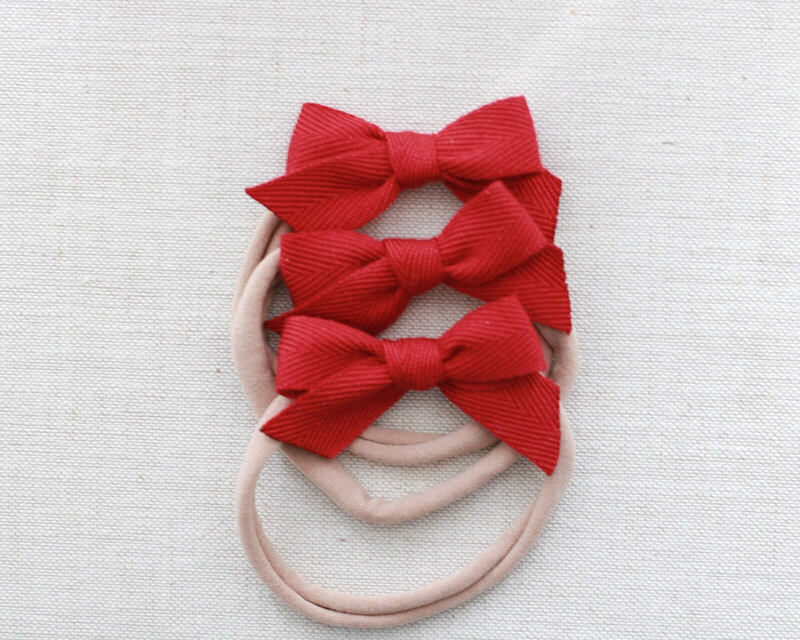 It will be a great accent colour to your little one's outfit.